Many people don’t realize it, but it’s pretty easy to forfeit your HVAC warranty claims. You don’t want to find out that you made a stupid mistake and ended up voiding your warranty after the fact. 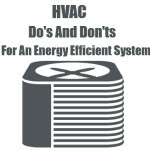 HVAC systems are expensive, complicated machines. Be proactive and learn how to maintain your HVAC system and the manufacturer’s warranty that comes with it. Proper heating and cooling maintenance is essential for keeping your system running efficiently and reducing the risk of breakdowns. But not only will it reduce breakdowns by up to 95% and lower energy bills by up to 30%, it is also a prerequisite for your manufacturer warranty. 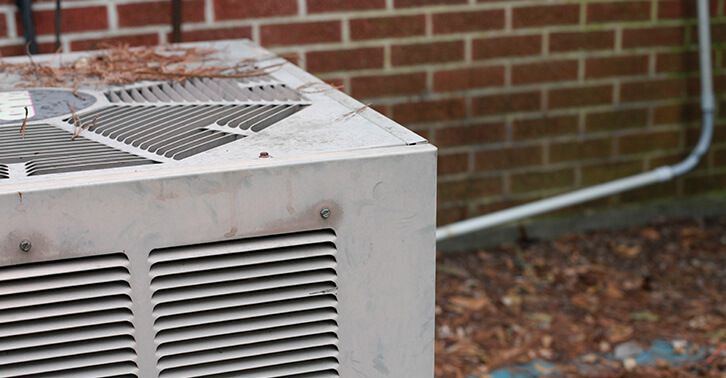 Most warranties require the unit to be installed, repaired, and maintained by a licensed professional HVAC technician. If you think you’ll save some money by not scheduling annual professional heating and cooling tune-ups, you may be in for a rude surprise. Schedule your spring HVAC tune-up today if you haven’t done so already! Service Champions even has a Maintenance Value Plan which guarantees two professional HVAC maintenance visits every year — one for your heater and one for your air conditioner, plus much more! Maintenance agreements are a great way to ensure your warranty remains valid. Whichever licensed technician you hire to maintain your HVAC system, remember to keep records of your maintenance visits for any future warranty claims. You may be asked for written documentation of professional installation, repairs, and maintenance. Many times, HVAC companies keep records of customers’ service visits so if you’ve lost your documentation check with your HVAC company first before losing hope. Scheduling annual maintenance with a licensed HVAC company is essential, not just for meeting warranty requirements but also for comfort, safety, and energy savings. We are lumping these two into one, since they basically say the same thing — always hire a licensed, professional HVAC contractor to install and repair your HVAC system. Trying to save a couple dollars with the cheapest parts and installers will put you at risk for higher breakdowns, inefficient operating costs, safety concerns, as well as a voided warranty. Be wary of “handymen” and part-timers. Watch out for red flags like “off-brand” and Non-Original Equipment Manufactured (“non-OEM”). Make sure that whomever you hire is licensed, bonded, and insured. Do your research before hiring someone to repair or install HVAC equipment. Product manufacturers and HVAC technicians alike know the repercussions of having a faulty repair or installation. Because of this, you should always hire a licensed, professional. Service Champions always uses approved repair and installation guidelines and can guarantee that all of the parts we use will be manufacturer approved. Usually, you must register your warranty within 60 days of installation. Many times you can do this online, by the mail, or by phone. This normally covers at least 10 years. Make sure you also have proof of purchase from a licensed HVAC contractor. The important thing is that you remember to register your new HVAC system as soon as you can. If you buy a new HVAC system with Service Champions, we will walk you through all of the steps to make sure your new unit is properly registered. Don’t make the mistake of trying to save a couple of dollars and voiding that valuable HVAC warranty. Call the heating and cooling experts at Service Champions so that you can relax knowing your warranty remains in effect. We offer 100% satisfaction guarantee on all of our services. Need more ways to save energy? Looking for other ways to avoid a large energy bill this summer? Check out our guide to reducing summer electric bills. Or, if you'd like some individualized recommendations on how you can reduce your home's energy use, contact one of our experts at Service Champions. Service Champions serves the Sacramento, San Jose and the East Bay areas. Our quality service and guarantees have made us the best choice in Northern California. We look forward to hearing from you. We would love to hear how your recent experience was. Please feel free to reach out to us. © 2018 Service Champions. All Rights Reserved.